Trenton Stations Three stations are planned for Trenton. They are at Cass Street, serving Waterfront Park, home of the Trenton Thunder, Hamilton Avenut, serving the Sovereign Bank Arena, and Clinton Avenue, serving the Northeast Corridor Station. Connections can be made for Amtrak, New Jersey Transit, and SEPTA trains serving points north and south. Additionally, there are three proposed Trenton Stations. Clinton and Wallenberg Avenues is the location of the northern terminus of the Light Rail Line, at least in the first phase. 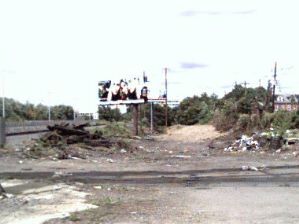 This location offers connection to SEPTA, New Jersey Transit and Amtrak. 120 Parking spaces will be available for light rail travelers. Parking is at a premium in this area, due to the NEC station as well as offices located in the area, but there are more than 3,400 parking spaces in the immediate area. 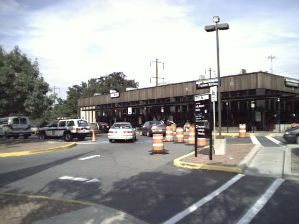 The Trenton Northeast Corrider Station. 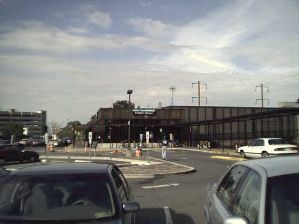 Main Entrance to the Northeast Corridor station at Trenton. Platforms at Trenton. Looking northbound, the low platform is behind the high platform in the picture. 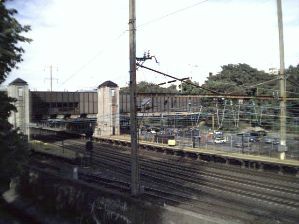 When the Pennsylvania Rail Road ran passenger service on the Trenton to Camden line, the trains entered the station on the Northbound side, which has a low platform. Today, New Jersey Transit trains are boarded on the low platform. 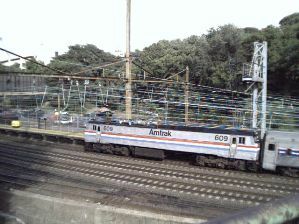 Amtrak train pulls into the Trenton Station. 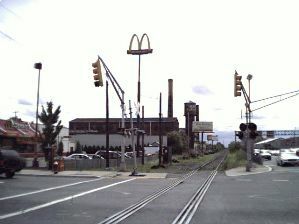 The Hamilton Avenue station will be built in what was the heart of industrial Trenton. Now being converted for alternate use, there are several former factory buildings that now house offices. Others have been converted for retail use. 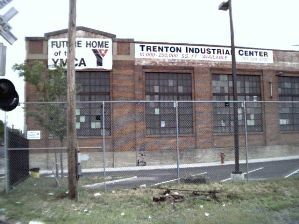 The building in this picture is advertised as the new home of the YMCA. A soccer stadium and a convention/exhibition center have also been proposed for the same site. 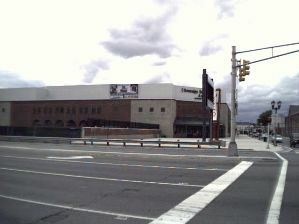 The Hamilton Avenue station is directly across Route 129 from the Sovereign Bank Arena. A pedestrian bridge will be constructed over this road to facilitate travel from the station to the Arena. Looking south from Hamilton Avenue toward Cass Street. Looking north toward the NEC catenary. 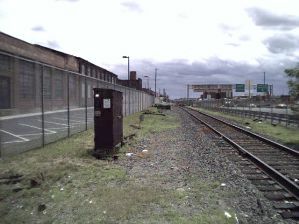 At one time, the track interconnected with the NEC track, enabling Pennsylvania Railroad trains to enter the Trenton Station. 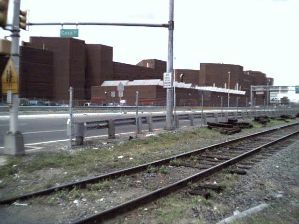 Cass Street, and New Jersey State Prison. 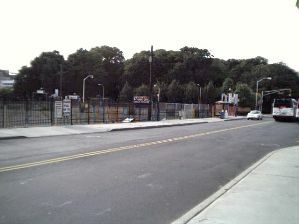 Cass Street station will also serve Waterfront Park, home of the Trenton Thunder. 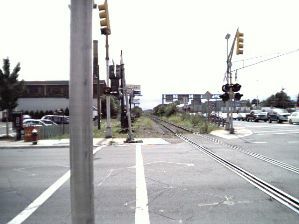 Waterfront park is approximately three blocks from the Cass Street Station. 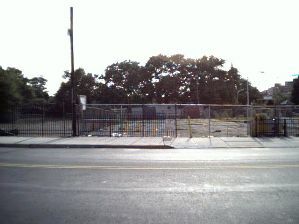 Looking south at the Cass Street station location. The former PRR line ran along the Delaware and Raritan Canal. The water tower in the backgound is Home Rubber's. They are among the few remaining from what was once a thriving industrial area. Some of the industrial buildings have been converted to offices.